You Jacked My Porsche & My Bling! 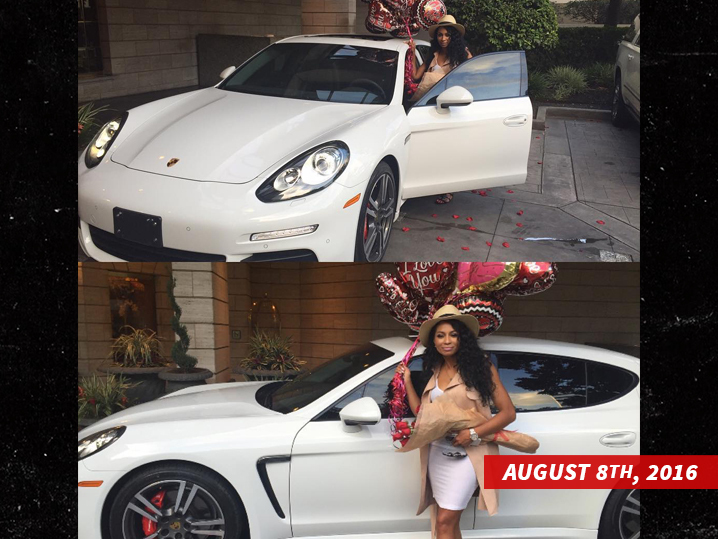 “Love & Hip Hop: Atlanta” star Karlie Redd ﻿says 2 men broke into her garage and jacked her beloved Porsche, and she’s suing a car dealership for organizing the heist. Now, the dealership — Vanderhall Exotics of Houston — would call it your run-of-the-mill repo … but in docs, obtained by TMZ, Karlie says her 2014 Panamera was straight stolen. She says she’d made $43,300 worth of payments on the car she purchased for $57,397 — but on February 28, around 2:53 AM, the men forced their way into her garage. In the suit, she says they also got into her house, stole an unspecified amount of jewelry and clothing … and then bolted with the Porsche. Karlie says she called police and, through an app, traced the car back to the dealer in Texas. The dealership claims the car was lawfully repossessed, but Karlie strongly disagrees. She’s not demanding the return of the car, but she is suing to get back all the money she’d paid on it. We’ve reached out to Vanderhall Exotics, so far no word back.